Polar Bears in the wild clearly are very dangerous but we cannot help but love them as they survive in a hostile habitat. 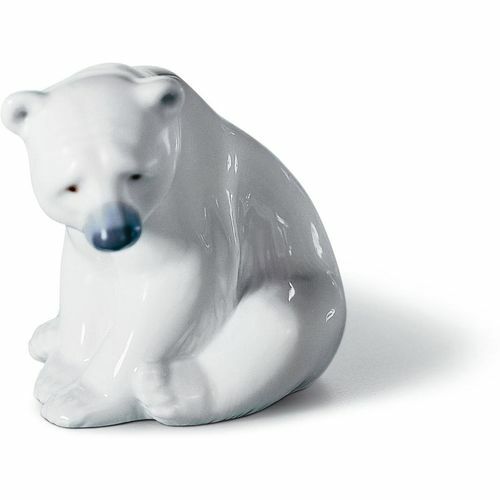 The Lladro Seated Polar Bear looks like it is taking a time out before deciding what to do next. Lladro Porcelain is produced by Artisans in Valencia in Spain. Lladro is made for memories, these beautiful classic and timeless creations make the perfect gift for all those special occasions throughout the years and make wonderful keepsakes for family & friends to treasure. Each piece is lovingly handmade and hand painted & comes with their unique Lladro markings by the Valencia Artisans. The Lladro Resting Polar Bear comes presented in its Lladro presentation box & a certificate of authentication.